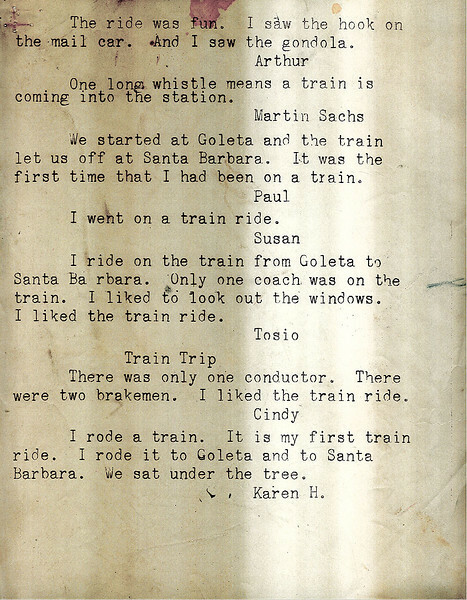 Mimeographed report of individual student comments from Isla Vista School class fieldtrip on March 5, 1961, Goleta to Santa Barbara. Acc. No. 88.5.3., page 2.